Boats and other personal watercraft can, with probable cause, be impounded if used in commission of crime. SACRAMENTO — Proposals giving law enforcement more leeway to impound recreational marine vessels and update California’s Endangered Species Act were both signed into law by Gov. Jerry Brown, in separate signings, Sept. 10 and 11. 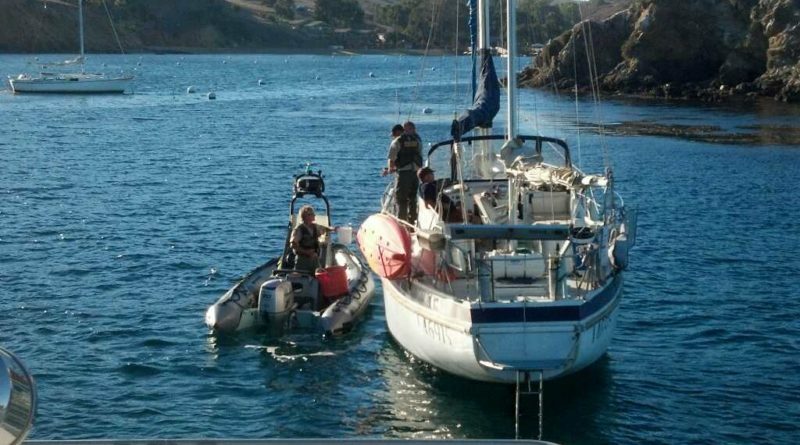 Brown’s signing of Assembly Bill 2175 (AB 2175) allows law enforcement officials to impound a boat or other personal watercraft if they have probable cause it was used in the commission of a crime. Also signed into law was Senate Bill 473 (SB 473), which, among other things, extends a take permit provision to other agencies and requires payment of an application fee for incidental take permits. AB 2175 was introduced by Assembly member Cecilia Aguiar-Curry, D-Napa, and headed to the governor’s desk after clearing the State Senate (37-0) and Assembly (80-0) in August. It was placed on the suspense file, giving legislators an opportunity to determine whether the state could afford implementing the bill’s proposed updates to the state’s vessel impound practices. Marine safety and peace officers can now, thanks to Brown’s signing of AB 2175, impound a boat or other personal watercraft under certain specified circumstances. Law enforcement officials could attach a lien on the vessel if, based upon probable cause, they believe the boat or other personal watercraft was used in the commission of a crime. Towing and storage costs would be borne onto the vessel owner if he or she were convicted for using the boat or personal watercraft during the commission of a crime. Aguiar-Curry said she proposed the bill to establish parity between the Harbor and Navigation Code and Vehicle Code, while also clarifying law enforcement’s parameters in removing and storing marine vessels. Brown also signed technical changes to California’s Endangered Species Act into law. The bill, which was introduced by State Sen. Robert Hertzberg, D-Los Angeles, provides the Department of Fish and Wildlife with more flexibility and the public with a more transparent process about the department’s endangered species decisions. A legislative analysis of SB 473 stated staffing and administrative costs could be somewhere between $500,000 and $1 million per year, though those expenditures could be offset by the fees proposed within the bill. The California Construction Industry Materials Association opposed the act’s technical amendments. ← Mary Gordon, oldest remaining electric boat?